This first comprehensive treatment of the subject for more than a decade includes the latest research on nanoparticle toxicology. 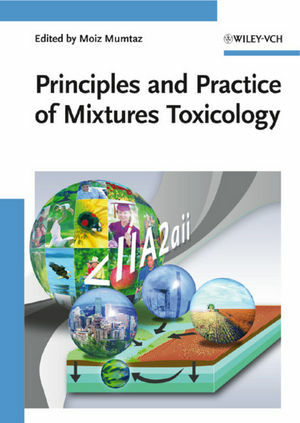 The practical handbook addresses all areas where toxic mixtures are encountered, from environmental via occupational to medical settings, giving special consideration to air and water, and to the specific requirements for study design in mixture toxicology. While no extensive prior knowledge or toxicological experience is required, the practice-oriented case studies and examples in the second part make this the ideal companion for the professional toxicologist in industry or healthcare institutions with little time for academic study. Moiz Mumtaz is a long-term scientific advisor at the U.S. Agency for Toxic Substances and Disease Registry (ATSDR), where he heads the agency-wide mixtures research program. Dr. Mumtaz obtained his Ph.D. in toxicology form the University of Maryland (USA) and holds M.S. degrees from Oregon State University and from Osmania University (India). He is also a faculty member of Emory University, Atlanta, teaching toxicology and risk assessment courses.